MAISON&OBJET (M&O) show is the major event for industry professionals focused on the art of living in all its rich and varied expressions. 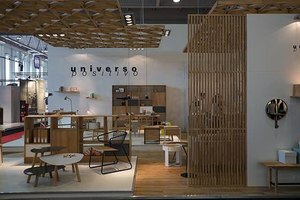 Bringing together a comprehensive product offering from all aspects of the industry, including decoration, design, furniture, accessories, textiles, fragrances, children’s products and tableware, the show is both inventive and multifaceted. Explore 4 different universes. Find the very best decoration and home interior solutions organised by style. 7 sectors with the best objects and decorative accessories organized by product family. In September, take advantage of your stay to experience the best of contemporary Parisian culture at PARIS DESIGN WEEK, the international design event for the general public! From creativity to interior design to gastronomy, this original and eclectic itinerary brings together in Paris the best of lifestyle designers. Showrooms, art galleries, concept stores, architecture firms, cultural institutions, trendy hotels all roll out their creativity to present their innovations. The great design celebration is also surrounded by a bubbling wake of gourmet happenings and other delectable surprises not to be missed. Its ambition over the past 20 years: Bringing together all aspects of the lifestyle world, gathering all industry players in one place, selecting the top products and exhibitors, deciphering the newest trends, predicting shifts in consumption, offering new sources of inspiration, revealing new talents, stimulating the marketplace, promoting design, and adding value. Organisation SAFI, a subsidiary of Ateliers d’Art de France and Reed Expositions France. MAISON&OBJET PARIS is reinventing itself! 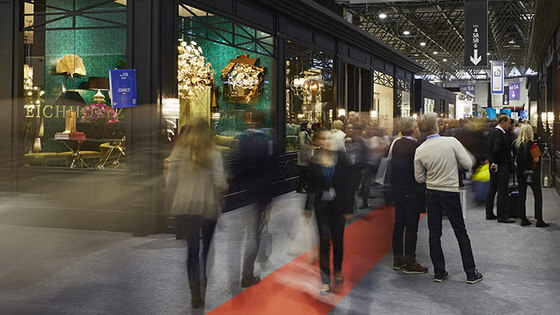 With over 20 years of insider observation of the market for the home, and true to its tradition of being a trendsetter, MAISON&OBJET is reinventing itself by reorganizing its offer.